(video)--A member of the Outlaws motorcycle gang has been convicted of shooting a former pub DJ in the face. Anthony Stephens was found guilty of the unlawful wounding of victim Darren Smith - leaving him with a bullet lodged in his brain for the last 20 years. 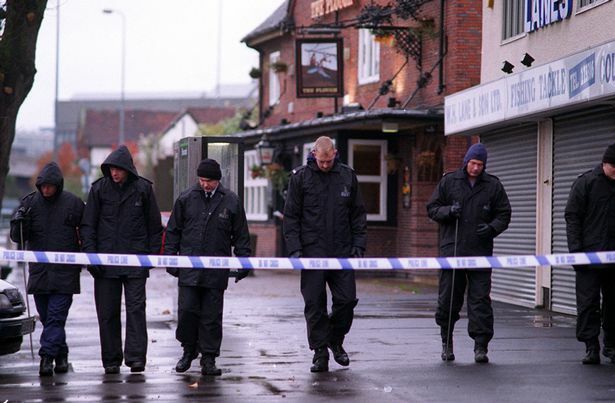 A jury at Warwick Crown Court found Stephens, 47, Cranberry Road, Tile Cross, Birmingham innocent of attempted murder and wounding with intent to cause him grievous bodily harm. Stephens, who was jailed for three years, was found guilty of unlawful wounding. 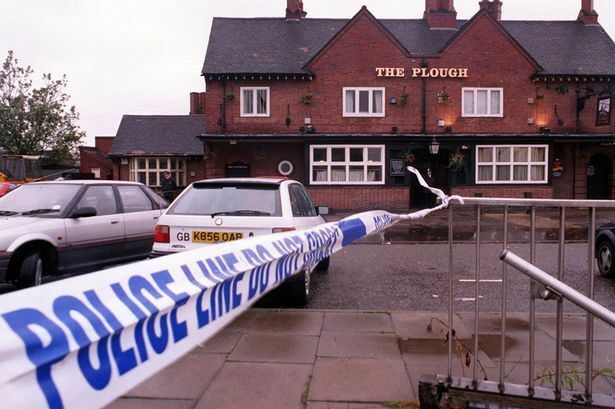 Although the shooting at the Plough pub in London Road, Coventry, took place in 1996, Stephens was not arrested for more than 17 years, after moving to Dublin. He was picked up after landing at Birmingham Airport when he flew back from Dublin in November 2013. Prosecutor Stephen Linehan QC said on the night of the shooting Stephens, who had just left the Birmingham Outlaws motorcycle gang prior to moving to Dublin, turned up at around 6am with three members of the Coventry Outlaws. Below: From the archives - how the Mail covered the murder of Hells Angel Gerry Tobin who was killed on the M40 motorway after leaving the Bulldog Bash in 2007 by rival gang The Outlaws. They were let in by Mr Smith, who was working as a DJ during the lock-in, but later told to leave following an argument at the bar and were escorted back to the door. More: Who are The Outlaws Motorcycle Club? Outside one of them began damaging a car on the car park, and when Mr Smith opened the door and threw a glass towards them, Stephens levelled a handgun at him and fired, the jury was told. Without waiting for an ambulance, Mr Smith was rushed to hospital by car and underwent an operation to save his life. The bullet is still lodged in his brain and he has suffered life-changing effects including a loss of peripheral vision and short-term memory problems. Stephens denied having a gun or firing the shot. After the jury’s verdicts, the court heard Stephens had numerous previous convictions, all many years ago, including wounding in 1989, wounding with intent in 1990 and possessing a sawn-off shotgun in the late 1980s for which he was given four years youth custody. Elizabeth Marsh QC, defending said: “His previous offending parallels the time he was a member of the motorcycle group. Jailing Stephens, Judge Griffith-Jones told him: “You belonged to a motorcycle group or gang called the Outlaws. Whether or not you had left at the time you committed this offence doesn’t make any difference. “You went along as a group of four to a public house where there was late-night drinking. In your pocket you had a loaded pistol. “It was one of your companions that caused you four to have to leave. As a result, trouble erupted on the car park, and there was a predictable response from those inside the pub. “When one of them reacted by throwing something, you shot him. “I have heard what he was like before he was shot. He was quite a character. I am quite sure he is no longer anything like the man he was, and he carries a huge scar across his head from a craniotomy which saved his life.